Want to Buy iCloud Remove? Here are the Recommendations! iCloud is one of the best services of Apple that allows you to sync your iTunes account as well as get other benefits such as free cloud storage, etc. iCloud removal may be required if you reset your iDevice and now seeing iCloud Activation Lock but don’t have the password to unlock it. Why People Want to Buy iCloud Remove? As mentioned above, iCloud removal sometimes is the only solution to bypass iCloud Activation Lock (providing you forgot ID or password required to unlock). This problem can mostly occur on second-hand iPhones as they usually contain iCloud account of the previous owner. So, you need to buy an iCloud removal software in order to remove iCloud and use your own iCloud account in the device without issues. There are several iCloud removal tools available but free ones are usually scam, that’s why people want to buy iCloud removal tools as the paid ones are legit and provide expected results. How Much Will You Need to Buy iCloud Remove? 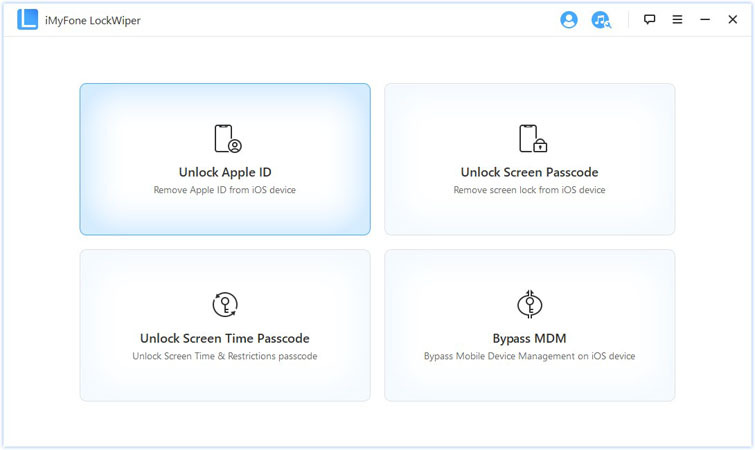 There are many iCloud removal tools available on the market but iMyFone LockWiper is one of the most recommended ones mainly because of its reasonable price and how efficient and easy to use it is when it comes to removing iCloud from any iDevice. LockWiper was originally designed as an iDevice screen lock removal tool but with the new update it has become a powerful iCloud account removal tool as well. It has a user-friendly interface and you don’t need to be an advanced user in order to take advantage of what this tool has to offer. Remove iCloud account from any iDevice with ease. You can start the iCloud removal process within just three simple steps. Remove/bypass lockscreen of any iDevice conveniently. Supported screen lock types include 4-digit passcode, Touch ID, 6-digit password, and Face ID. 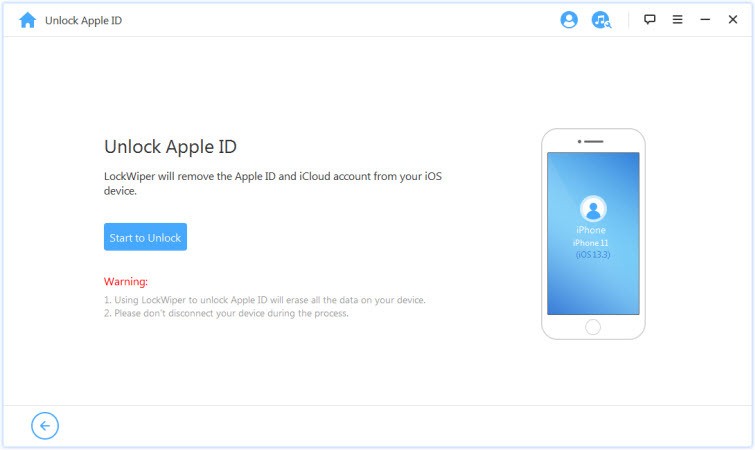 Remove iCloud account safely. You can use new iCloud account in iDevice after removing the old one via LockWiper without any issues. Remove/bypass screen lock of an iDevice even if it has a broken screen. Step 1: Connect your iPhone to your Windows PC or Mac. Make sure the device is detected by the OS. 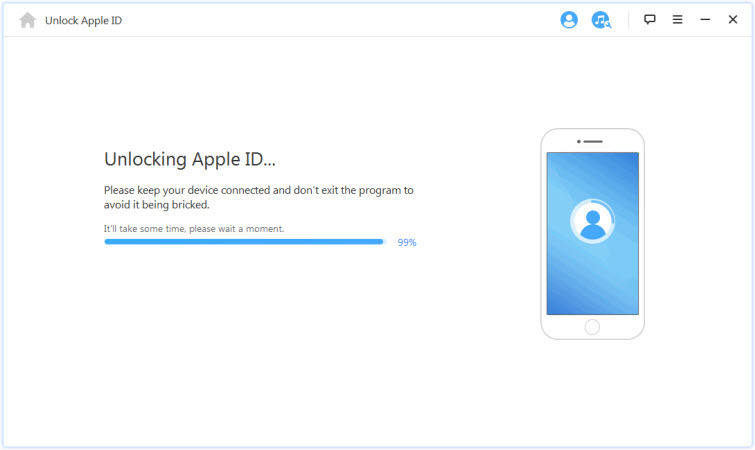 Step 2: Launch LockWiper and click on Unlock Apple ID from the home interface of the software. Step 3: On the next screen, click on the Start to Unlock button. iMyFone LockWiper will start the unlocking process. Once the unlocking process is completed, iCloud account will be removed from your iDevice and iCloud Activation Lock will be bypassed. Doulci iCloud Unlocking Tool is another efficient iCloud removal tool that you use to bypass iCloud Activation Lock on your iDevice. This tool works on all iDevices and supports all iOS versions. There is no UI of this tool and it works by running your own iCloud bypass server, so it is highly efficient and provides expected results. Although Doulci iCloud Unlocking Tool is free to download, you must complete a survey in order to download this tool. They also accept donations. There is an option to donate $25 on their website. Step 1: Connect your iDevice to your computer. Step 3: Follow the on-screen instructions to unlock iDevice. iCloud will be removed once the device is rebooted. iPhoneIMEI.net is not a tool, it is an online service that allows you to easily remove iCloud from your iDevice. This service is quite popular and easy to use. iPhoneIMEI.net supports iCloud removal from all iDevice models and it supports all iOS versions. All in all, removing iCloud from any iDevice via this service is fast, easy, and highly convenient. Price to remove iCloud from an iDevice via iPhoneIMEI.net varies depending on the device model. The pricing of this service starts from $28. Step 1: On your favorite web browser, visit iphoneimei.net. Step 2: Once the webpage is opened, find and click on iCloud Unlock option. Step 3: Now select the model of your iDevice and then enter the IMEI of the device. Step 4: After inputting the required information, click on the Unlock Now! button. iPhoneIMEI.net will start verifying the provided information and send you a confirmation email on your provided email address. Then, you will be able to proceed to the payment section so your iCloud removal process could begin. Easy Fix – Can iCloud Lock Be Removed? What are Apple ID Password Requirements and How to Fix? Kevin Walker is a senior editor who specialize in iOS products, has helped millions of people by sharing useful iOS tips and tricks.